Health Science is one of the most emerging fields in the present scenario. The level of health science involvement in the fields of scientific research has reached to that extend; the health safety of any developing as well as developed nation can be evaluated through the level of advancement of health Science of the particular nation. Health Science is a multidisciplinary field that aims to disseminate information, scholarship experience in education, practice and investigation between health status and quality of care for individuals, families and communities. Health Science Journal aims to supply scientists of health with resources in order to provide the scientific knowledge through the publication of peer-reviewed, high quality, scientific papers and other material on all topics related to Medical biochemistry, Biotechnology, Health engineering, Epidemiology, Genetics, Nursing, Pharmacology, Pharmacy, Public health, Psychology, Physical therapy and Medicine. 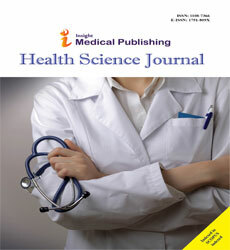 Health Science Journal uses Editorial Manager System for a qualitative and prompt review process. Editorial Manager is an online manuscript submission, review and tracking system. Review processing is performed by the editorial board members of Health Science Journal or relevant experts from other universities or institutes. Minimum two independent reviewer’s approval followed by editor approval is required for the acceptance of any citable manuscript. Authors may submit manuscripts and track their progress through the editorial system. Reviewers can download manuscripts and submit their opinions to the editor whereas the editors can manage the whole submission/review/revise/publish process via editorial manager. The journal is indexed and abstracted in the following databases: Cosmos, Index Copernicus, ProQuest, EM Care, Google Scholar, Current Abstracts, Crossref, EBSCO, WorldCat, Ulrich’s International Periodicals Directory and endorsed by Hellenic Society of Nursing Research and Education. Health system which is some time called as health care system is the frame work that assure to provide an efficient and affordable health care services to individuals in a community while taking into account of their financial status. Health issue occurs when the normal metabolism of the body failed or altered due to pollutant, pathogen or other means that cause health problem which are considered as disease. Epidemiology and biostatistics helps to keep up-to-date record about the prevalence of diseases within the population. It helps in the prevention of spreading disease across the world. It prohibits the diseases from becoming endemic and finally epidemic. It also helps to analyze the cause of the disease and thus helps to prevent the disease very effectively. Personal health refers to the wellness of the individual. While personal health care is provided to people those who are not able to take care of themselves. It involves people with certain mental disorder, physically challenged people, etc. Health psychology is based on the concept that physical health is not dependent only on the biological process but it depends on the psychology of the individual, their socioeconomic status, culture, etc. One such example is the consumption of alcohol and some other psychotics can cause addiction or reinforced behaviour and can affect both mental and physical health. In public health rather than considering the health of the individual we will consider the health of the entire community or certain population. It mainly focus on preventing infectious disease, removing contaminants from food and drinking water, reducing pollutions, by public health policies (for example administering vaccines for various diseases) etc since they can affect the entire community. Health professionals are people whose area of expertise is of human health. Health Care people have strong knowledge in various illness that are caused by pathogen, genetic, pollution, physical damage, etc. They also have knowledge on how to diagnose and treat such illness. These people include doctors, nurses, pharmacist, etc. The main focus of health education is to make the community people aware about the prevalent disease and its preventive methods or educating individual people about their illness and helping them to take care of their health. The health education mainly involves computerized graphical video that helps people to understand better about their sickness and its preventive measures. Health outcome is the process of measuring how well a person responded to a treatment. It helps to better understand the efficiency of the treatment. While measuring the health outcome we will consider things like how well the person is after certain treatment and we will prefer treatment that has no or at least less side effect from treatment. Health communications is the process of educating people about health education. Since different group of people have different health needs we have to alter the health education to suit the need of each people. The health communication hence plays a major role in improving public health. Health Care Journal Articles, International Journal of Research in Health Science, International Journal of Health Science and Research, Journal of health communication, Health Communication, Nuclear Medicine Communications, Human Communication Research, Cell Communication and Adhesion, Clinics in Mother and Child Health, Health Education Research & Development, Primary Healthcare: Open Access, Health Care : Current Reviews , Health Systems and Policy Research. Health nutrition is about the intake of food that could improve the health. Different set of nutrition are required for various people. The careful choice of food nutritious food that improves the body metabolism helps to improve the health. Clinical and Health psychology deals with the understanding the changes in individual psychology and behaviour during various situations like health and illness. One such example is the consumption of alcohol and some other psychotics can cause addiction or reinforced behaviour and can affect both mental and physical health. Social Care is the provision given to the people who unable to meet their daily needs due to illness, old age, poverty, orphan children etc. with an intention to improve their living and to protect them. The skin is the outer most covering of human. It is the largest organ in our body. It helps to separate the internal organs from the environment. It also plays a major role in regulating the body temperature. Skin health concerns with incorporating effect strategies to protect the skin. Sleeping is the process in which the brain enters an altered state of consciousness. During sleep the person becomes less responsive to the surrounding. Usually during sleep the brain recurs between two very different modes called REM (Rapid Eye Movement) and non-REM sleep which in itself consists of many other factors. Any defects in this process may cause sleep problem. Sleep health deals with maintaining all these process. International health is the sub set of health care that deals with maintaining the proper health of the entire world population. It concerns with people who travels from one part of the country to other who could be the carrier of disease. International health helps people who are travelling to different parts by administering necessary vaccines. Behavioral Science is the study of characteristics of human. Various fields in behavioral sciences are psychology, cognitive science, criminology, etc. It investigates and analyze the human relationships through the behavioral aspects of disciplines such as biology, geography, law, psychiatry and political science. It explores the effect of human actions and interaction. Health of a person is defined as the overall wellness of a person which includes physical health, mental health and social status. Physical Education helps individual to maintain their physical wellness through exercise, yoga, etc. Recreation are activities that are done for pleasure. Maternal and Child health helps to protect and promote the health of mother and new born child. Since new born child are much more prone to disease and need adequate nutrition maternal and child health helps mother by providing them with proper education about taking care of their child. Nursing education focuses on educating health care people about effective ways to deliver the health care to patients. It educates nurses about how to administer different medicines, to examine patient and to deliver best services to patients. Health assessment is important and often first step in identifying the patient’s problem. Health assessment helps to identify the medical need of patients. Patients health is assessed by conducting physical examination of patient.